Santa Barbara Youth Opera provides young singers with tuition-free instruction and performance opportunities in a fun, rewarding and artistically challenging environment. Young singers will also enjoy unparalleled exposure to the workings of a professional opera company. 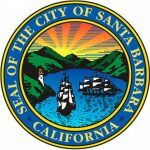 For additional information on the Santa Barbara Youth Opera, email [email protected] or call 805-898-3890. Odyssey brings Homer’s epic tale to life for young performers. The youth opera will be presented in collaboration with players from the SB Youth Symphony under Music Director Erin McKibben and Stage Director Layna Chianakas. The Youth Opera summer program will provide young singers ages 8-18 unparalleled exposure to the workings of a professional opera company. The singers will spend two weeks learning Odyssey and perform it onstage at the end of camp, the weekend of June 21-23. Please be prepared to sing one solo of your choice. Please bring sheet music; a piano accompanist will be provided. Auditions will be held at First Congregational Church, 2101 State Street. Please contact our Education and Outreach Manager, Lex Benes at l[email protected] or (805) 898-3890 to reserve your audition time. ERIN MCKIBBEN is an active performer and educator in Southern California, originally from Portland, Oregon. 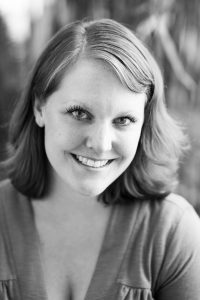 Locally, she is the Music Director for the Santa Barbara Revels and a Co-director for the Music Academy of the West’s Sing! Choral Program. She is a Teaching Artist in Choral Music and Flute for the Santa Barbara Symphony, performs as a principal with the Santa Barbara Folk Orchestra, and is owner and Director of the Santa Barbara School of Music. Erin is principal flutist for the Los Angeles-based experimental classical ensemble, wild Up, whose performances LA Times music critic Mark Swed has described as “impressive both technically and for their unabashed spirit.” The group’s New York City debut was listed in the New York Times’ “Best Classical Music of 2015.” She has performed at the Aspen Music Festival, Carnegie Hall, Walt Disney Concert Hall, Hahn Hall at the Music Academy of the West, Colburn’s Zipper Hall, Warner Brothers Studios, several National Flute Association Conventions, as a soloist at the Ford Amphitheatre in Hollywood, and with the LA Philharmonic, the experimental LA-based Opera company, the Industry, and the International Contemporary Ensemble. As a chamber musician, Erin participated in the Fischoff Chamber Music Competition and has been heard on Santa Barbara’s classical music radio station as a featured artist. Erin was also engaged as the Keynote Speaker for the 2015 Pacific Northwest Chapter Conference of the College Music Society. She holds a BM from the University of Puget Sound and a Masters Degree from the University of Michigan, where she studied with Amy Porter as a fellow.